Low literacy undermines our economic competitiveness and sustainability, and creates obstacles to a fairer society. Businesses have the resources and reach to make a real impact. 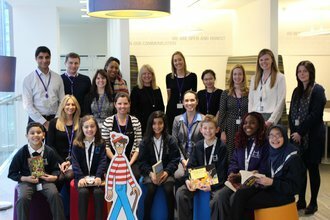 Contact our Corporate Partnerships Manager to find out more about how your business can support our work and transform lives through literacy. By working in partnership with us, you can make a real difference to raising literacy levels. We recognise that companies and their employees want to see where their support goes, and so we make every effort to provide line of sight for all your support – whether it’s fundraising, employee time or other partnership activity. We can also provide bespoke opportunities for you to meet your CSR and business objectives. There is so much you can do within your organisation. Workplace giving, skills-based volunteering opportunities on early years, primary and secondary school programmes, team building and challenge events, providing support for parents on how to support their children’s literacy skills, plus much more. Support local services near your office by providing funds, volunteering time or gifts to directly benefit people in your local community. You could also sponsor a literacy programme to boost literacy levels in disadvantaged communities. Fundraising events that include your suppliers and clients can be a great way to showcase your CSR efforts. Or how about working with us to create a product or service for your business that has mutual benefits? Benefit from brand alignment by partnering with us on a campaign or commission some new research to enhance the evidence base. 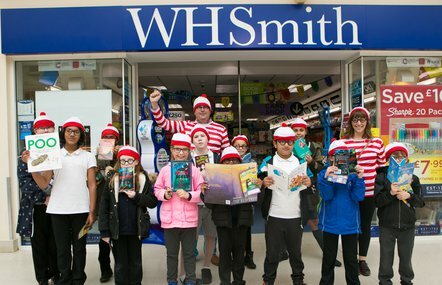 74 businesses have committed to taking action to raise literacy levels and boost social mobility in 2019. Find out more about the pledge and how businesses can sign up in 2020. Below are some examples of how we work with our corporate partners. For more information on our partnerships, click on the logos below. We have been working with KPMG to drive literacy policy development and increase business engagement in driving up literacy levels since 2013. 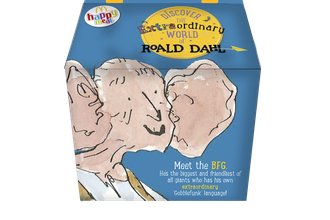 The National Literacy Trust has worked in partnership with McDonald’s since 2013 as part of McDonald’s Happy Readers campaign. 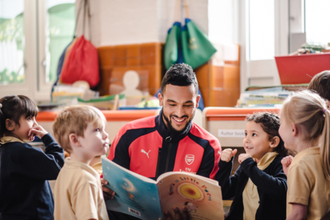 We are a key partner for Premier League Primary Stars, the Premier League’s new schools programme.